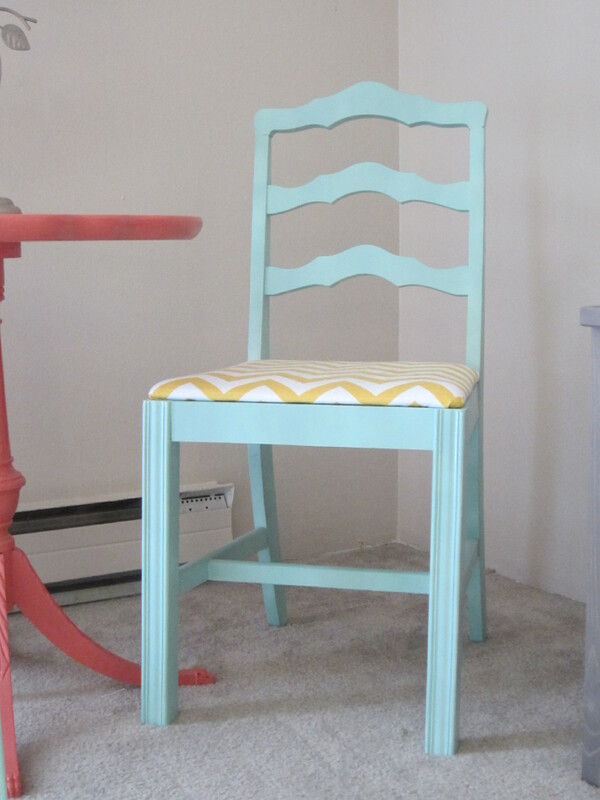 My great grandmothers dining chairs that I sprayed with Krylon’s Catalina Mist spray paint and reupholstered with batting and fabric from Hancock Fabrics. It only took about 1/2 yard to cover two chairs and secured with a staple gun. I even had a small piece of fabric left to add a centerpiece to my coffee table. End table from my mom, painted Flame Creeper, paint from Walmart. This is one of my favorite and probably least expensive wall hangings in my entire home. 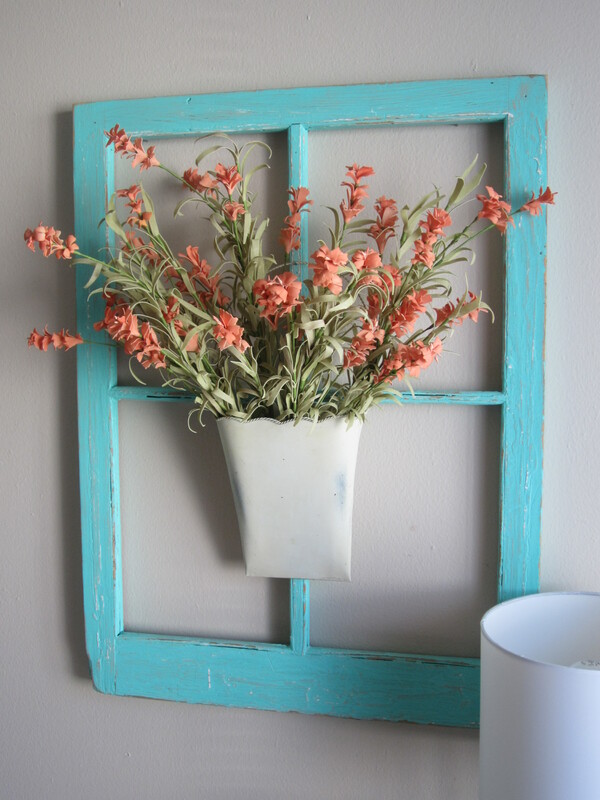 The old window is from a local antique store (about $9) that I painted with aqua paint and then roughed up with some sandpaper to give it that worn look. Then for some more color I nailed a vintage cream wall bucket filled with a few bunches of artificial flowers that were 50% off at Hobby Lobby. 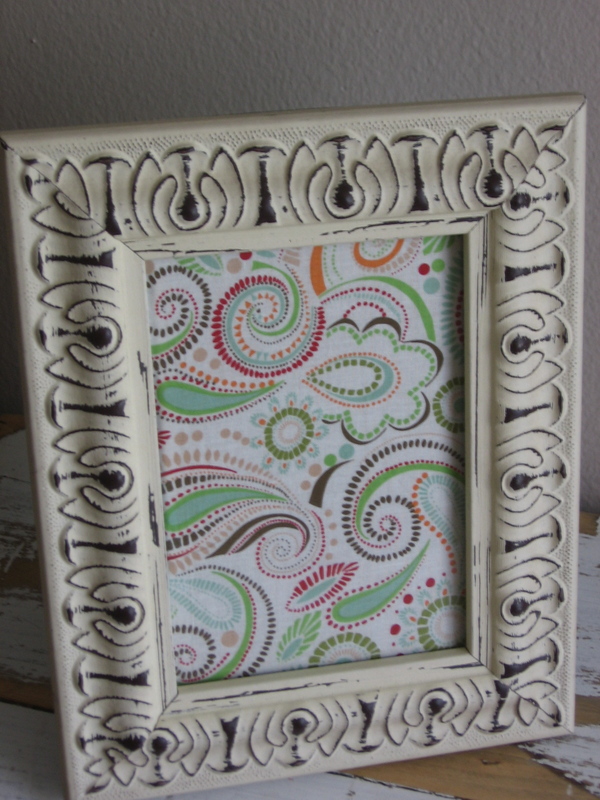 Easy way to add color to a room and use up extra picture frames. 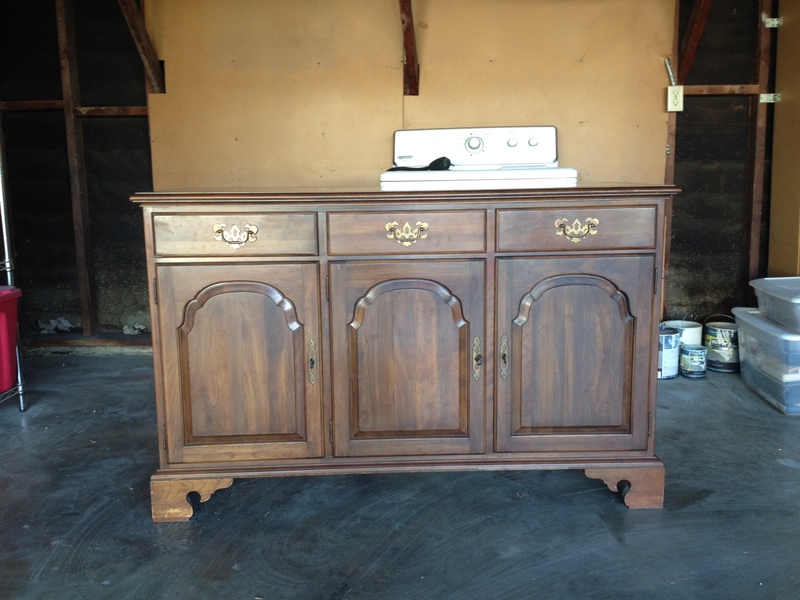 This piece was the bottom of an old china cabinet someone gave me for free. 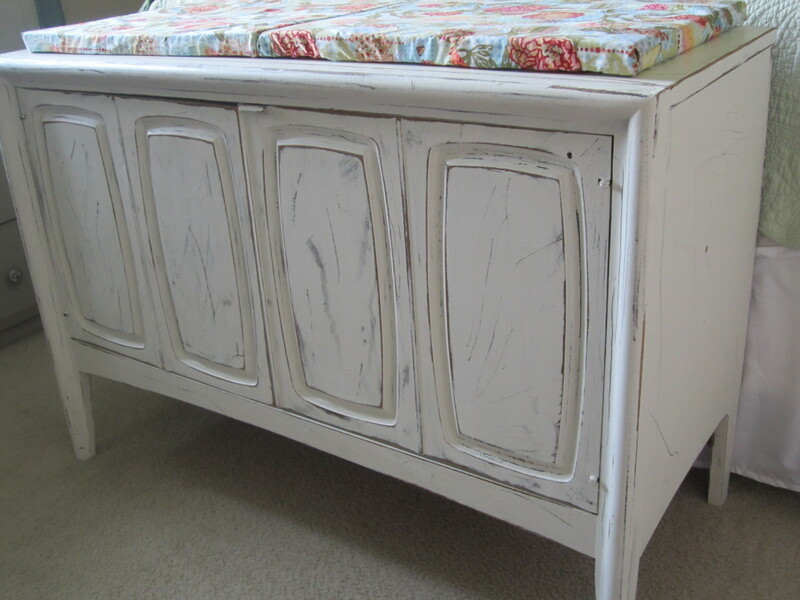 I painted, distressed it and added cushions to the top. The doors open to create a great storage space for shoes, etc. Top cushions are just fabric safety pinned around a foam piece (I’m not much of a seamstress so if you are feel free to use your skills here). 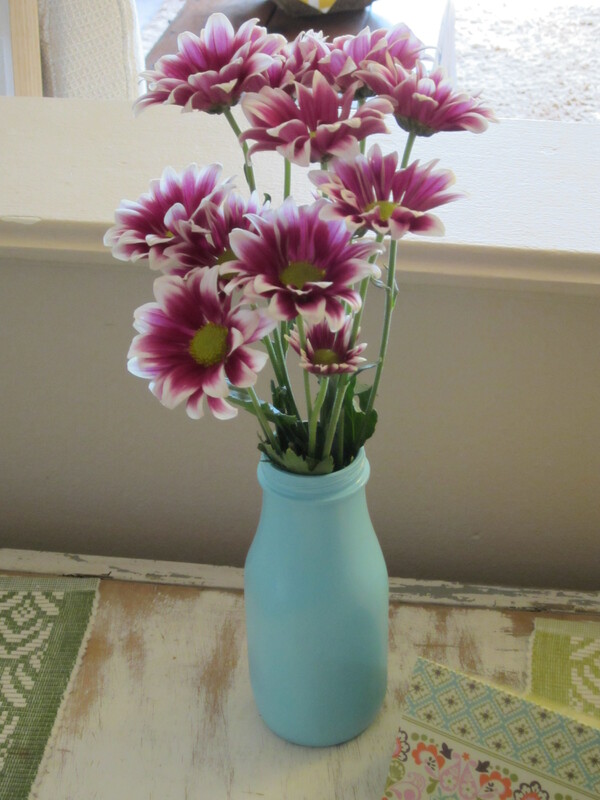 Prime and spray paint a cleaned glass jar, wine bottle or vase for added color to your tables or shelves. I used a Starbuck’s Frappuccino drink container and painted it Krylon’s blue ocean breeze spray paint. 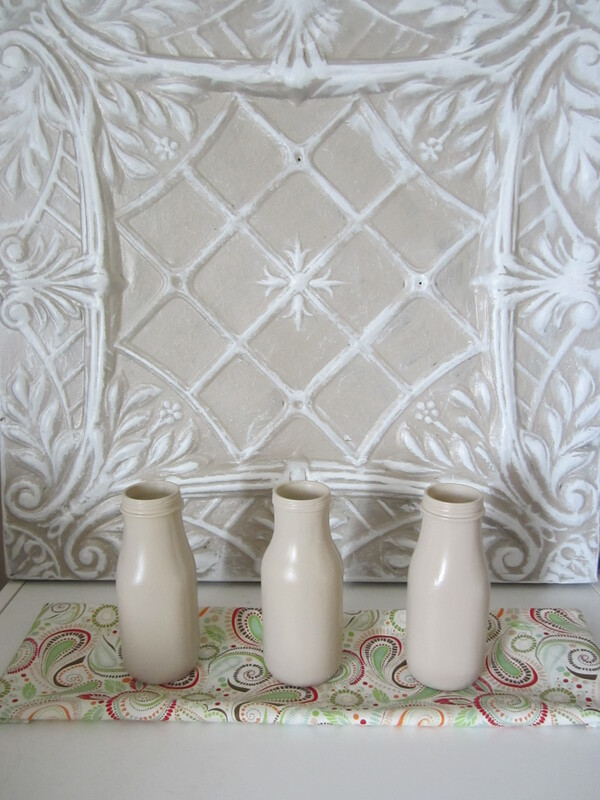 The vases were made using the same process from above, obviously using a different colored spray paint, Rustoleum Pebble. 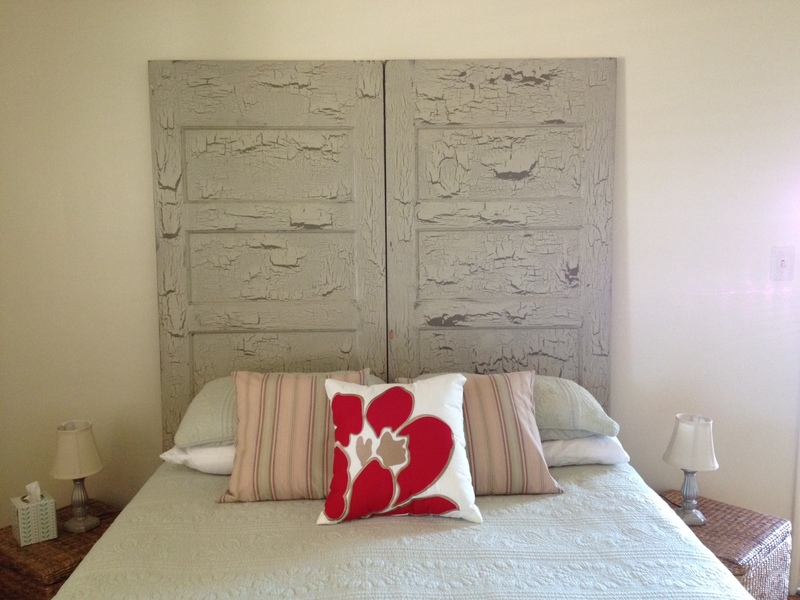 The metal tile is from an old opera ceiling that I bought at a craft show and painted. My sister and I are kind of partners in crime when it comes to making different things and sparking ideas in each other. She started making these adorable wreaths. So I take no credit for this project. She made this one for me. 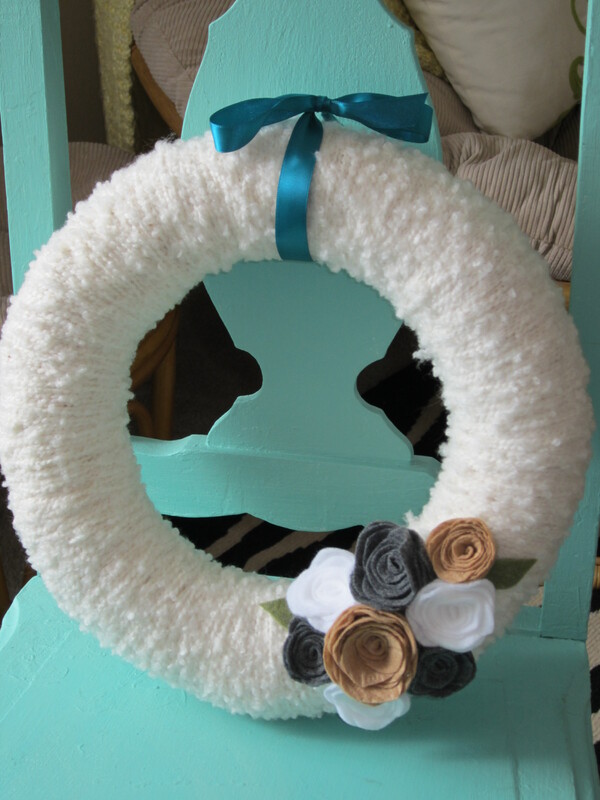 Wrap yarn around a wreath form and add felt flowers and leaves with a glue gun. Attach a ribbon or piece of burlap at the top to hang it on your door (my door is white so I had to remove it for the picture). I needed to recover my pillows to match my new decor. 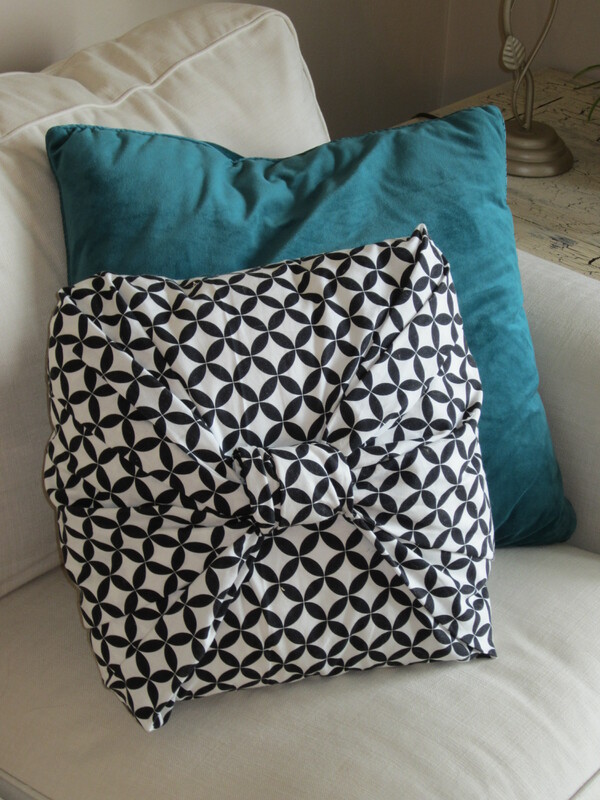 I can’t sew and didn’t want to buy new pillows so I recovered the existing form in fabric and tied a know in the front. My nonexistent sewing skills led me to safety-pin the fabric to the form and to secure the knot. Got this gem at a Habitat Restore. 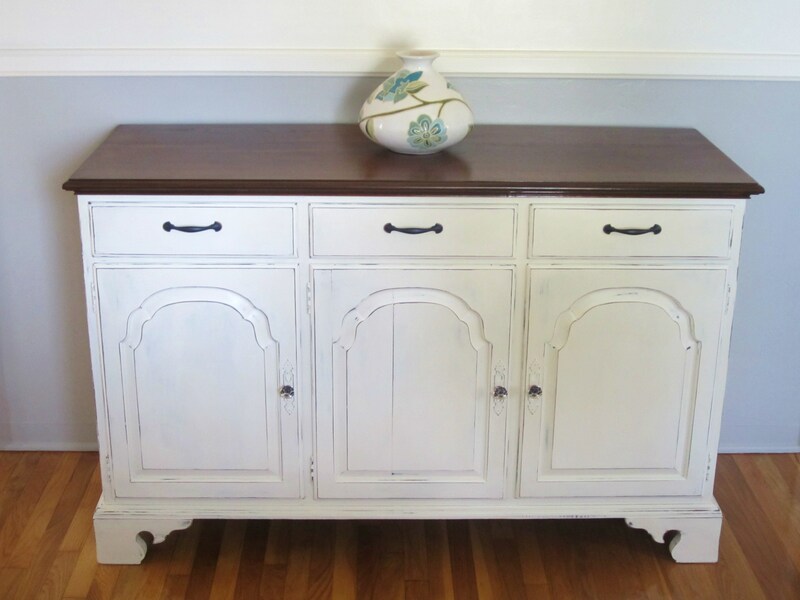 Sanded and stained top and painted base with Annie Sloan’s Old White. New hardware and project finished. This is very helpful! I was looking for the differences with the spray paint colors of Aqua, Ocrean Breeze and Catalina and this helps me out a great deal. 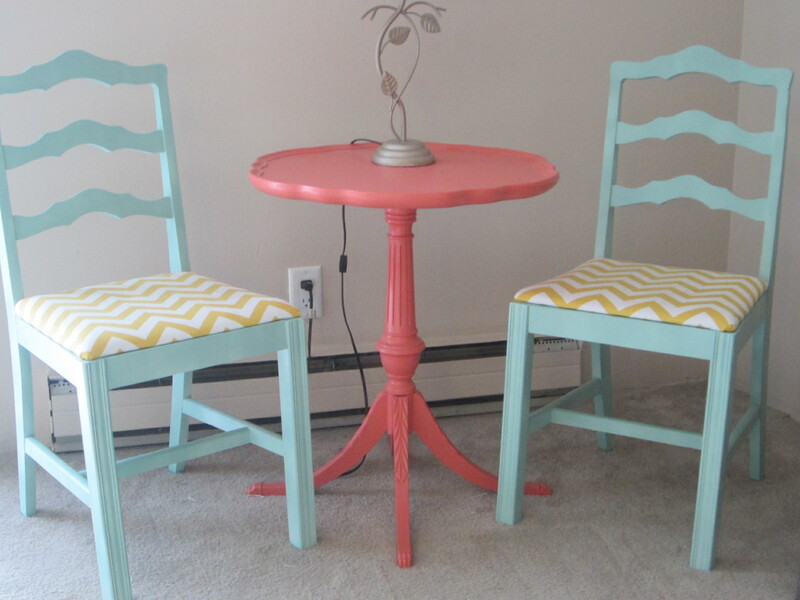 The Bistro set is super cute! Yeah, it’s hard to decide when you are looking at a plastic lid for color. I also looked at the pistachio/celery color too. Catalina has been my favorite, but I guess it depends on the project and look you want. Glad it helped!